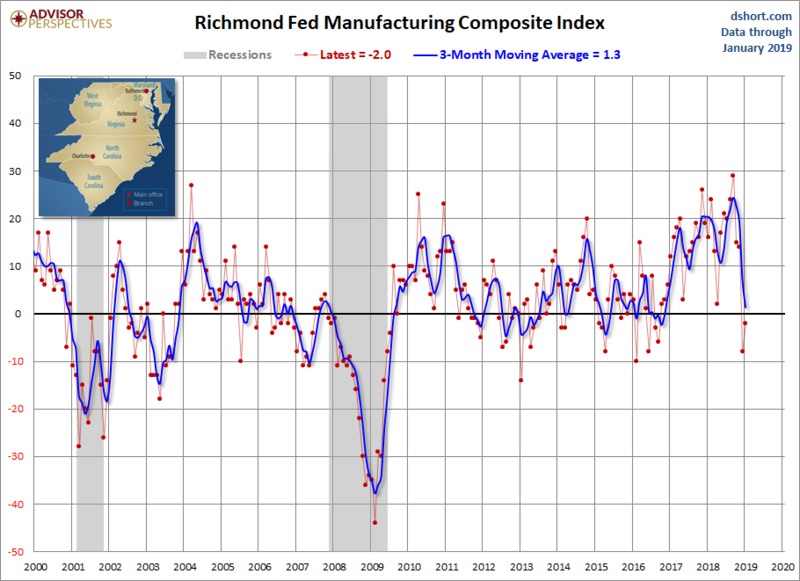 Today the Richmond Fed Manufacturing Composite Index increased to -2 for the month of January, up from last month's -8. Investing.com had forecast -6. Because of the highly volatile nature of this index, we include a 3-month moving average to facilitate the identification of trends, now at 1.3, which indicates expansion. The complete data series behind today's Richmond Fed manufacturing report, which dates from November 1993, is available here. Here is a somewhat closer look at the index since the turn of the century. 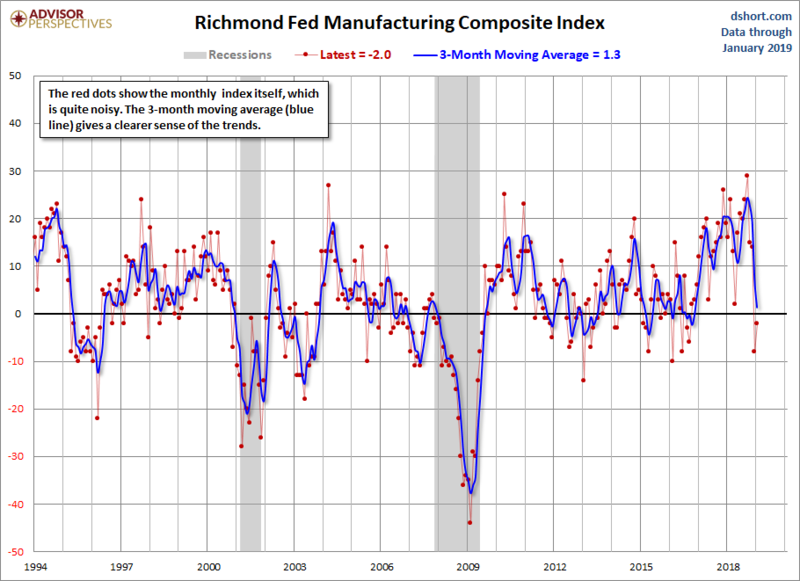 Is today's Richmond composite a clue of what to expect in the next PMI composite? We'll find out when the next ISM Manufacturing survey is released (below).